Over the past few years, drone usage has been on the rise in the protection of animals to prevent hurting wildlife around the world. An American dentist who became a subject of disdain from lovers of wildlife for shooting Zimbabwe’s beloved lion called Cecil is getting ready to return to work. There had been a huge public outcry, and a petition was even sent to the White House to extradite Walter J. Palmer, the dentist who shot the lion. In Palmer’s chat with the Minneapolis Star Tribune and the Associated Press, he said that he had depended on his guides to “ensure a legal hunt” and that the tracking device the animal was wearing was not easily noticeable at night. Incidents like that do not need to repeat itself as government and wildlife organizations are looking to make drones defenders of animals and ultimately help prevent hurting wildlife. If poaching continues unchecked, elephants and rhinos could be extinct within 10 years. In India, it once happened that 22 rhinos were killed in Kaziranga National Park. From 2007 to 2014, the number of rhinos lost to poaching roughly doubled each year in South Africa. Despite an increased number of rangers and other efforts—even hiding large numbers of rhinos in secure locations—poachers continue to take approximately three rhinos per day. The work of India’s park guards and rangers who are tasked with monitoring was made easier with the help of the drone. 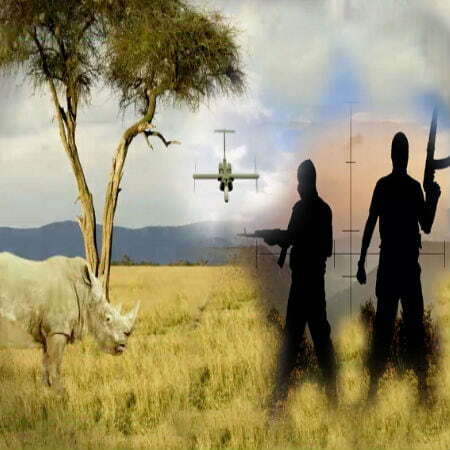 The drones have camera features, and they can fly at regular intervals so that guards can have the chance to keep an eye on the grounds for armed poachers. In Kenya, to prevent hurting wildlife particularly rhinos, San Fransisco–based startup Airware builds applications to use drones for aerial data collection. Airware conducted field tests of drones designed to protect rhinos from the threat of poachers in Kenya. Their autopilot platform and its software are controlled to send real-time digital video and thermal imaging feeds of animals and poachers to rangers that are on the ground. Then that information allows the conservancy’s rangers to send a security team to that exact location where poaching is happening. Meanwhile, Air Shepherd, which is currently active in South Africa, Malawi, and Zimbabwe, is trying to tackle this crisis by employing drone strategies used by few, if any, other organizations. The program’s fixed-wing, airplane-style drones (as opposed to the more common quadcopter) operate in very difficult conditions, both beyond the visual range of the drone operator and at night. 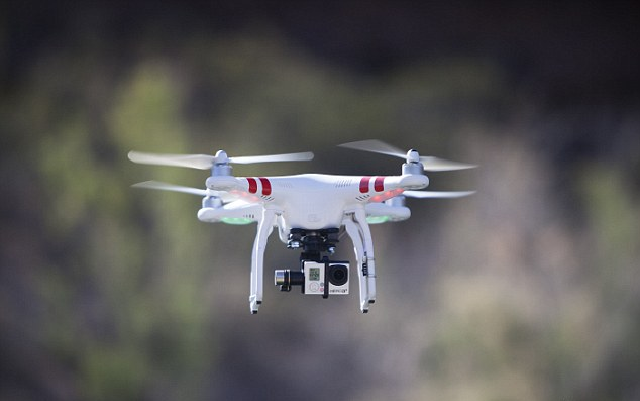 The drones rely on infrared night-vision cameras and GPS positioning to zero in on illegal activity. Most elephants in Tanzania have lost their habitat and this has brought about a lot of elephants wandering into farmlands to feed on the crops grown by the farmers, thereby ruining the crops. To protect their crops, some farmers have killed the elephants between 2010 and 2012, as reported by National Geographic magazine. To significantly reduce this tragedy and prevent hurting wildlife, a week was spent by DJI teaching park rangers how to fly the Phantom line of drones so that elephants could easily be steered away from farmland. While the battle between poachers and wildlife is in existence, farmers trying to grow crops and hungry elephants looking for meal are having another tug-of-war. It has, however, been discovered that the sound of drones scares elephants as it has the sound of a buzzing beehive. A park in Tanzania became the test site for a “drone herding” approach, where rangers fly 3-pound drones near elephants in a controlled way. Each fall, pods of endangered humpback whales numbering around 10,000, make their 3,000-mile journey towards Hawaii to winter over in the warm waters of the Hawaiian Islands Humpback Whale National Marine Sanctuary. Along the way, these whales encounter man-made environmental hazards such as fishing gear lines and marine debris, which become tangled around the whale’s body and fins cutting into the whale’s flesh and sometimes even dragging them down to the bottom of the sea where they drown. The work to untangle a 45-foot, 40-ton whale is dangerous to both the rescue team and the whale. Matt Pickett is a former manned aircraft pilot for NOAA research missions. In 2013, Pickett left NOAA and formed Oceans Unmanned, a nonprofit organization that uses drone technology for marine conservation and environmental research. Pickett says that to prevent hurting wildlife in the seas, launching drones off of rescue vessels enable rescue teams to get a better idea from the aerial images of what’s going on with entangled whales and then get the right tools to untangle the whale with less risk to whales and the responders. Drones improve responders’ situational awareness as they move forward with a rescue. Oceans Unmanned is also focused on minimizing marine disturbances with the technology and have recently launched an ECO-Drone program which seeks to limit disturbances to marine resources. The organization also has a program to equip cargo ships with drones to decrease the number of ships striking whales during transits through feeding or breeding grounds. Six of the world’s seven species of sea turtle are listed as threatened or endangered; their populations devastated by commercial fishing, pollution and habitat loss. Restricting human activity, particularly around critical periods, is seen as key to helping these populations recover. Unsurprisingly, sea turtle courtship and mating occur in the open ocean, often over many hours. But until recently, the where and the how has eluded researchers. Prior to 2016, only five published studies focused on these behaviors; the most comprehensive of which was carried out a commercial turtle farm. Now researchers at the University of Alabama are using drones—the DJI Inspire 1 UAV, to be exact—to locate, identify, and monitor green sea turtles along the western Gulf of Mexico. Their efforts, reported in the journal Herpetological Review, yielded nearly 50 hours of video, capturing eight of the 11 specific courtship and mating behaviors documented in earlier studies. In Saint Martin, drones have been used to streamline daily monitoring for sea turtle nesting activity. Sea turtles nest in remote habitats over large areas, making traditional methods of surveying both costly and time consuming: hours of observer time to cover endless stretches of remote beaches. With drones, miles of shoreline can be covered in mere minutes. Perhaps more importantly, using drones reduces the likelihood of disrupting turtles or, worse, crushing their nests. Technology like drones can help scientists and managers gather data fast enough to enable timely assessment of the implications of these changes. A group of researchers created the #EpicDuckChallenge, which involved deploying thousands of plastic replica ducks on an Adelaide beach and then testing various methods of counting them. In the report they published in Methods in Ecology and Evolution, drones generated more accurate wildlife population data, even more accurate than the traditional methods. These results have important implications for a range of species. They are especially relevant to aggregating birds, including seabirds like albatrosses, surface nesting penguins and frigate birds, as well as colonial nesting waterbirds like pelicans. Other types of animals that are easily seen from above, including hauled-out seals and dugongs, are highly suited to drone monitoring. The nests or tracks of animals, such as orangutans and turtles, can also be used to infer presence. Additional experiments will be useful to assess the ability of drones to survey animals that prefer to stay hidden and those within complex habitats. Such assessments are of interest to researchers around the world whose current investigations are focused on wildlife such as arboreal mammals and cetaceans. To prevent hurting wildlife further, increasing the accuracy and precision of animal surveys means a lot in population estimates. This provides a stronger evidence base on which to make management decisions or policy changes. For species and ecosystems threatened with extinction or irreparable damage, such speedy action could be a literal lifeline. The ways in which drones can be used to assist in the protection of our environment are just beginning to take off. According to Tonya Wimmer, director of the Marine Animal Response Society, based on the East Coast of Canada, though drones are a brand new technology, they hold a wide variety of advantages to those looking to aid in the protection and conservation of the environment to prevent hurting wildlife. Drones are indeed instrumental to prevent hurting wildlife, protecting the environment and revolutionizing the way conservation research is conducted all around the world.